Loose sagging skin just does not look good and gets in the way of normal activities or movement. Aging, pregnancy,certain genetic skin conditions, and major weight loss can result in lax hanging tissues. The body is three dimensional. When the problem extends around the body, Body Lift Surgery can addresses loose drooping tissues circumferentially. Body Lift Surgery often involves several stages to address the entire body: Lower Body Lift, Breast Lift, Arm Lift, Upper Body Lift among other sculptures. This website is but an introduction to what we have to offer. We take our patient's education, sculpture, after care, and comfort very seriously. A Lower Body Lift combines the Tummy Tuck Abdominoplasty sculpture of the stomach, with Thigh Lift, and Buttock Lift sculpting the entire body in a band about the waist or a Belt Lipectomy. Excess skin and fat are removed, the stomach muscle wall tightened, and the Superficial Fascia Suspension System (SFS) resuspended. This connective tissue network in the fat contributes greatly to holding tissues elevated. The tone of this SFS is what gives a more youthful appearance and support to the entire sculpture. Liposuction is often combined with Body Lift Surgery to refine nearby regions of localized fat. Body Lift Surgery is a resuspension sculpture. It is not a alternative to losing weight or a motivational tool. Losing weight is a coarse tool. You cannot predict where the fat will come from. Plastic Surgery is better as a refinement tool. 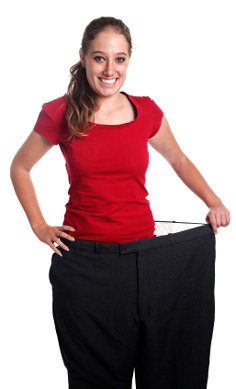 Major weight loss after Body Lift can result in further tissue sagging. After Significant Weight Loss tissue only shrinks so well leaving excessive loose drooping skin and supporting structures. The hanging skin can make it difficult to maintain hygiene, find fitting clothing, and force bothersome adjustments of flesh with activities like sitting down or standing up. After major weight loss, individuals often want quick results, Body Lift Surgery is best postponed until the skin and tissue have stabilized. The time to stabilization can vary from 6 to 18 months depending on many factors. Patients need to have realistic goals and loose tissues that are sagging in one or multiple body regions. Individuals need to be in good health without multiple medical problems, impaired healing, bruising, or bleeding difficulties. This surgery is not suitable for those using Nicotine, complications are just too great. Those with excessive BMI (Body Mass Index) or high body fat % should consider weight loss options first. The fat inside the abdominal cavity should not be excessive so that the surgery can flatten the abdomen. When lying down, the stomach should not project above the ribs. Different degrees of sagging can exist around the body. Choosing the type of body sculpture is a balance of compromises, the scar for the excision vs. the benefit of the lift.